Dental cavities in children occur when acids produced by bacteria from sugar wear away the tooth's hard surface layer, called enamel. Plaque is the sticky substance that contains these bacteria. Over time, tooth decay can cause cavities (holes) in the tooth’s enamel. If untreated, cavities become larger and destroy the tooth. What are cavities and how do we prevent them? First, let’s look at a tooth. A tooth is made of three layers, from outside to inside. The first is called the enamel, which is the very hard shiny surface you can see in the mirror. 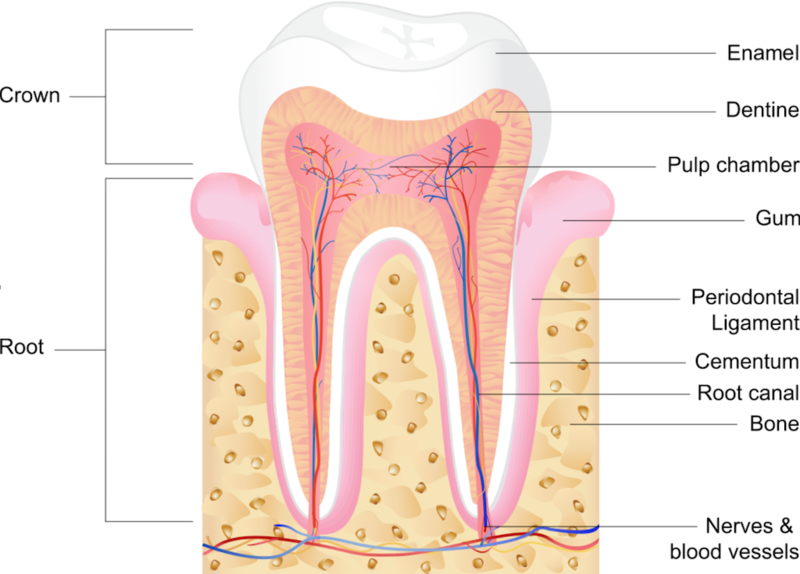 Next, we have a much softer layer, called dentin, and, finally, we have the pulp (or core), which is where the nerves and blood supply to the tooth can be found. “Plaque” is a fancy word to describe a layer of bacteria on your teeth, which will accumulate every day unless you take active steps to get rid of it. These bacteria produce acid as a by-product of their metabolism and that acid is what causes tooth decay. First, the acid will slowly eat into the hard enamel. While this may take some time, and can be prevented, once it gets into the dentin, it can get through it quite quickly, finally reaching the nerves, which you can feel as toothache. Further infection of the pulp may lead to the need for a root canal treatment. 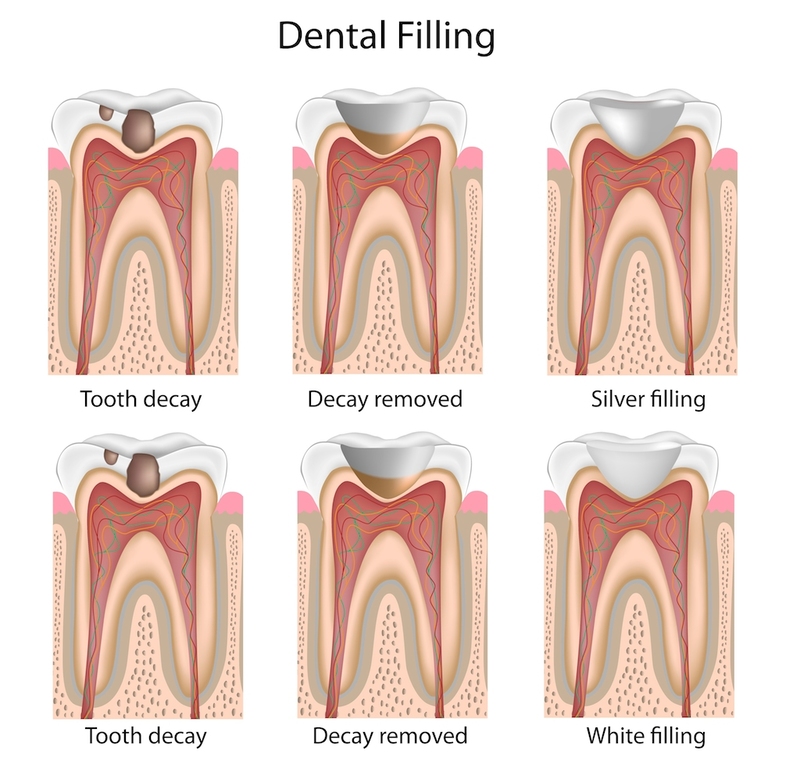 To get rid of the decay, the dentist drills around the hole caused by the bacteria, and cleans out all the rot in the dentin, before filling up the space with material to prevent another round of infection – hence the term “filling”. The easiest way to prevent decay is to take care of one’s teeth, brushing them for at least two minutes twice a day. This is most important before going to sleep at night, because, at night, we produce less saliva, which can help neutralize the acid produced from the bacteria. 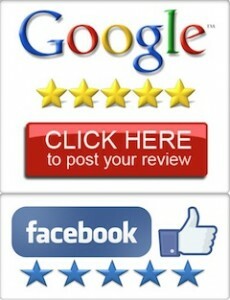 Even with good preventative care, one can “catch” tooth decay from other people. For example, if one kisses a person who does not look after their teeth, they can pass on to you the “bad” bacteria (Streptococcus Mutans & Streptococcus Sobrinus) that cause decay. Mothers can also pass on these bacteria by, for example, tasting the food before they feed their children from the same utensil. Avoidance of sticky candies will be of great benefit, since candies are mostly flavored with sugars, which are acidic, and the stickiness keeps the acid in contact with the enamel greatly increasing the chance of causing decay. One of the worst things a parent can do is allow a child to go to bed with a juice bottle – the sugars in the juice are eaten by the bacteria in the mouth, producing more acids to cause decay. Other measures one can take to reduce the risk of tooth decay include rinsing one’s mouth out with mouthwash or water after eating, and regular flossing between the teeth to get rid of the bacteria that toothbrushes cannot reach. The use of sugar-free gum is also beneficial, because the action of chewing stimulates more saliva production, which helps neutralize the acids caused by the harmful bacteria in the mouth, as well as dilute and wash them away by swallowing. Decay may first present as a light spot on the tooth's surface. 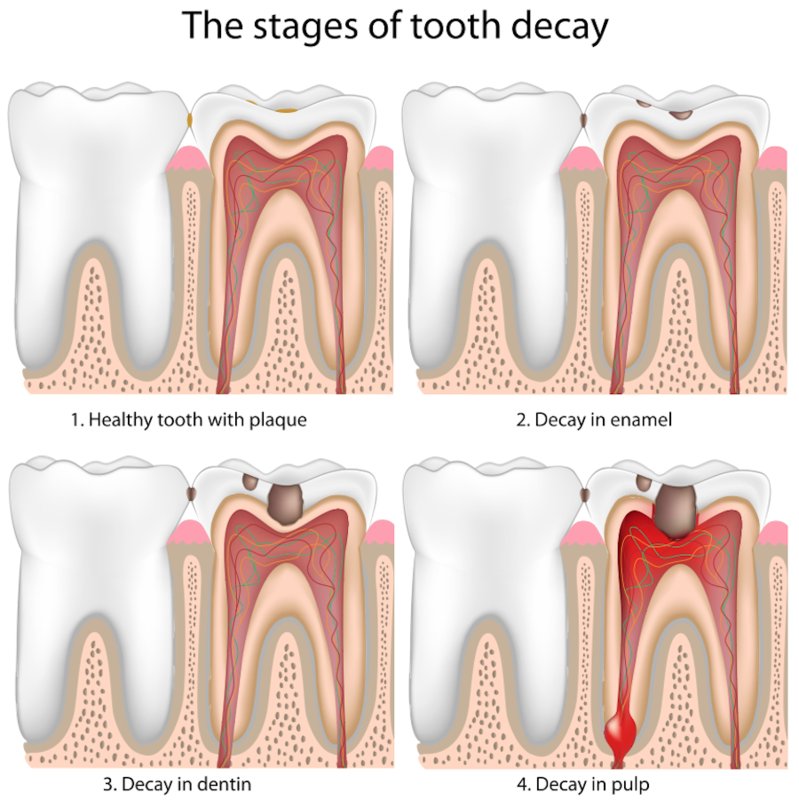 When decay has gone through the tooth's hard surface, it is now a cavity. When the cavity has reached the softer layer of the tooth, it will get quickly get larger. At this point the cavity needs a filling, otherwise it will start to damage internal structures that keep the tooth alive.